There are three ‘peat monsters’ in the land of the peated whisky : Laphroaig, Lagavulin and Ardbeg. We were on tour of the distilleries in Scotland, I love peated single malt, we were on Islay and we had just visited the first two. What were we to do next? Where should we have gone? 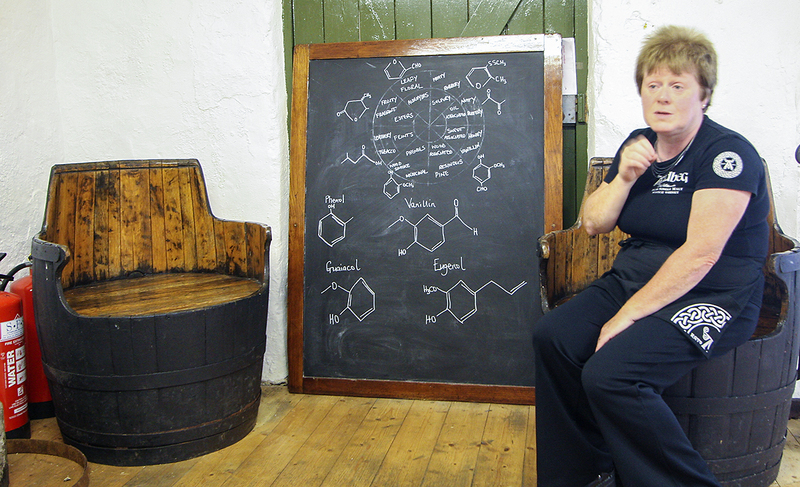 The distillery at Ardbeg makes the lightest, incredibly smooth, refined, easy to drink peat monsters. For those of you who have maybe tried Lagavulin, imagine a malt almost double as peaty (55ppm vs 30ppm phenols for Lagavulin) but much easier to drink. I absolutely love this single malt, and it was probably our main destination going to Islay. When we arrived there we were surprised by the dimension of everything, and by the popularity it enjoyed among tourists. maybe it was because it is the only distillery where one can also eat something. And what menu ! Being part of LVMH (as a subsidiary of Glenmorangie) means that Ardbeg now knows marketing, and how to position itself as a high class, high quality, aspirational brand. Everything there is impressive, but now overstated, and is on par with the actual quality of the malt. Very instructive tour given by a waitress! Actually, the comment above is misplaced. The reality is that, at Ardbeg, like any other distillery, and like anywhere else in Scotland, people are very careful with money (in reality everything is very well thought, planned, and they are scrupulous with their finances, not stingy as we jokingly know ). This means that people working in the distillery have several jobs, several duties to perform. I wanted to write this because I am not always a jerk (as it appeared fro the joke above). Finally, at the end of the tour, we were invited in the Chairman’s Study for a dram to enjoy in a free takeaway glass. It was Nirvana 🙂 Luckily Ioana was with me and she was driving, so I managed to get 2 drams out of this. Also, already having tasted the entire ‘fleet’, I was able to get the taste of one ‘lost’ expression (done a few years ago, all sold out, only available at high prices like collectors item) – the Alligator. For those of you who know me personally (and vice-versa 🙂 ), I will post a revealing photo on my Facebook page. 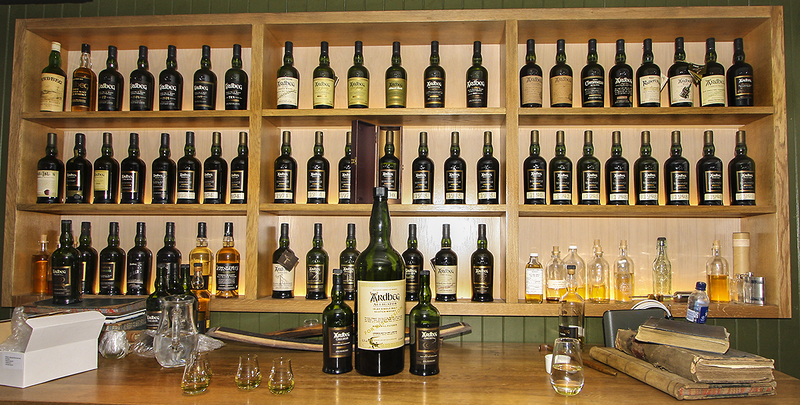 The Chairman’s Study at Ardbeg Distillery – The Alligator is the “centerpiece”. Hello my friend! I wish to say that this article is awesome, great written and include approximately all significant infos.